Jscrambler this technology platform that has a set of online applications where there is fraud, theft, IP, manipulations of DOM and data extraction, there are created, modules and codes extremely secure, it is easy to use, it has support and meets the requirements. Jscrambler this system is designed for organizations with a strong online presence where fraud is a latent risk. Notifications in real time and in various combinations, self-defense if it detects that the code was manipulated among others. "JScrambler - A solution for industry leading digital marketers"
JScrambler sales representatives are both helpful and have a great deal of technical knowledge. Daniela not only guided me through the sales process but also the technical setup and configuration to reach a tangible solution for our digital security / encryption needs. The documentation covering the transformations available was very comprehensive. I was able to get going in no time at all. The NPM module available works really well and took me less than 10 minutes to get setup in my Gulp file. It would be great if they could provide code examples along with the transformations documentation. To see what the obfuscated code would like like after applying the transformations. If you're looking for a leading industry solution for protecting the intellectual property of your business and or customers in the digital world, JScrambler is a tried and tested solution we have been using for 3 years. We have to address the issues surrounding our clients intellectual property. JScrambler provided us with a easy to use toolkit which met our needs in our busy digital production studio. What Runtime Application Self-Protection (RASP) solution do you use? "Best solution to encrypting your code for ionic/cordova projects"
The implementation process is very easy. Most of the heavy lifting is done by Jscrambler. It in its simplest forms its as easy as copying and pasting. Not much to dislike, the customer service is great. In our app we have code that we want to remain a secret. We wanted to make sure that other malicious users did not reverse engineer our code or manipulate it in any way. 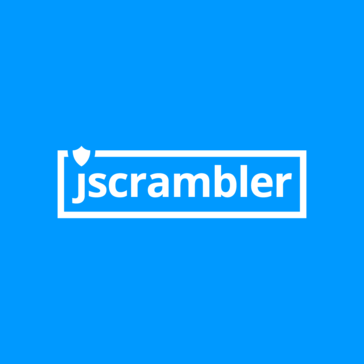 Using Jscrambler solved this issue for us. What is best about the service is that it does not take much for us to implement it into out ionic project. It is a better alternative then just minimizing the code and hoping no one dares to mess with your code. "Our only choice if we need to protect our code"
We feel safe in the knowledge that our client-side code is as 'tamper proof' as possible. We trust even if someone did manage to break it, it would take them a very long time but by this point, we can update it and they have to start all over again. At the moment, honestly nothing. It does everything we need it to. We use it to help protect our service against bots. This type of detection requires a lot of client-side code which inherently, you cannot trust. By using Jscrambler we can at least make life very difficult for people trying to abuse our service. "Perfect service, great tool with API support "
because of the API, it´s super easy to implement the scrambling into your existing CI process, humans work at the support, at other companies, you have to deal with chat bots and only forum, here you can speak with people and they help you to find a solution ! It's very easy to use no matter who you are! With JScrambler we protect our HTML5 games and our code. "Necesitabamos una capa extra de seguridad en nuestro Front-End"
Nada en especifico, funciona como se espera y sin ningun tipo de novedad. La seguridad es algo que tiene que ser establecido desde el comienzo de un proyecto, probablemente este sea una de las herramientas que ayuda bastante en ese tema. Lo usamos para proyectos Web en la parte de Front-End, este nos asegura que nuestro codigo sea poco o dificil de manipular o de copiar. * We monitor all Jscrambler reviews to prevent fraudulent reviews and keep review quality high. We do not post reviews by company employees or direct competitors. Validated reviews require the user to submit a screenshot of the product containing their user ID, in order to verify a user is an actual user of the product. Hi there! Are you looking to implement a solution like Jscrambler?